Frame topiaries, tree not fully developed but you get a sense of the final shape. 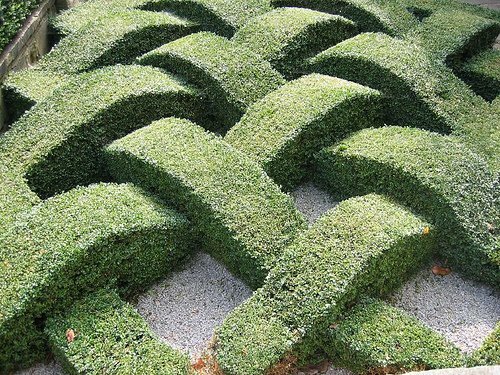 Topiary hedge, shaped as if woven. 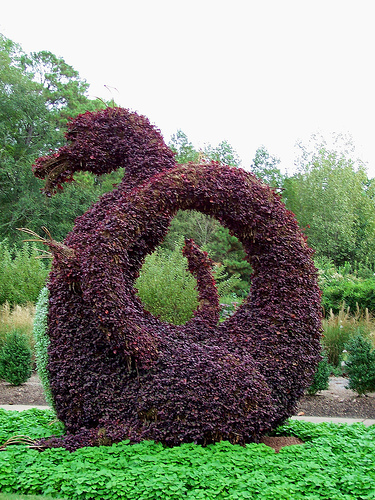 Dragon topiary, a favorite but expensive piece. 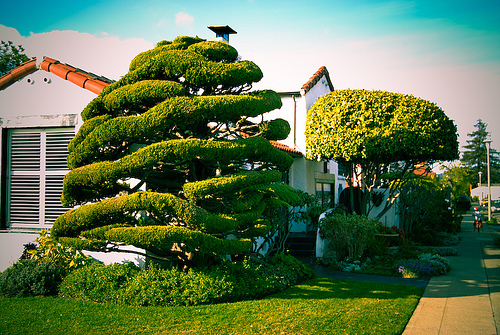 Natural topiary, highlights the natural shapes of the tree while giving it a "design" look. 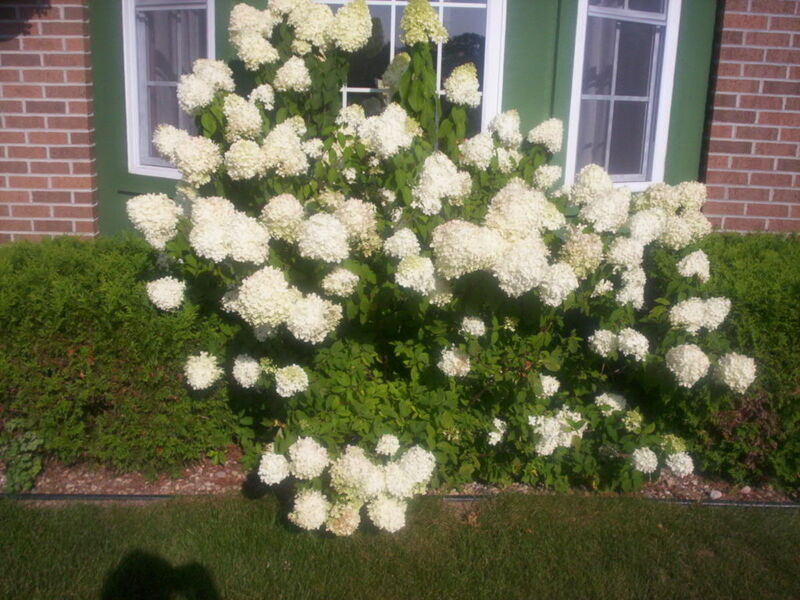 What is a topiary? 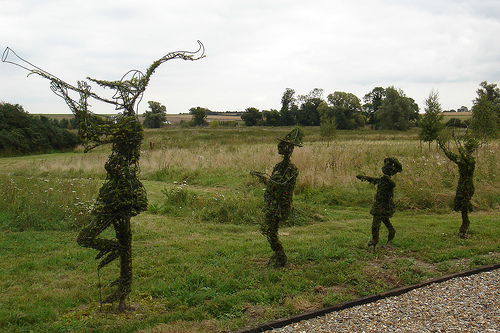 a topiary is a sculpture made from a tree or shrub. The shapes vary from simple geometric like the topiary ball to more elaborate sculptures in shapes of animals and mythical creatures. Trees that are commonly used are those that have a dense foliage, otherwise when pruned they would lose their green and expose the branches. 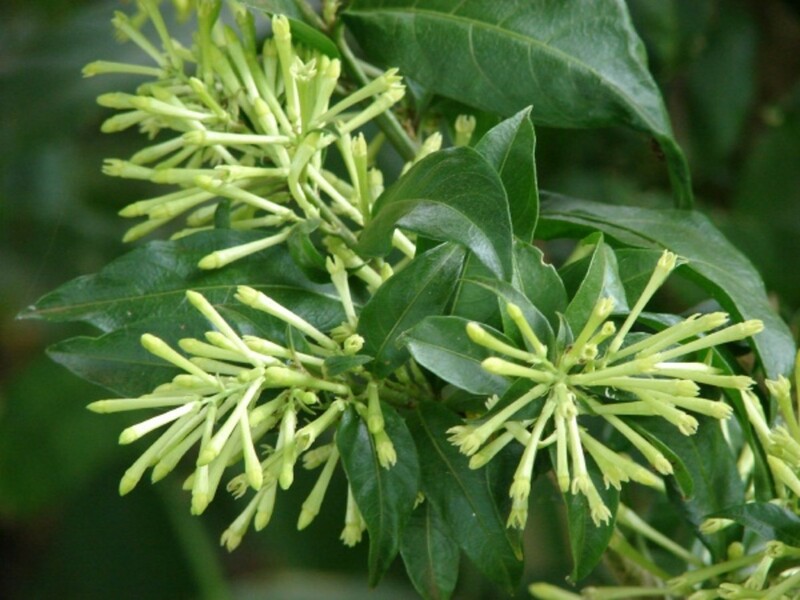 According to wikipedia, topiary trees include boxwood, arborvitae, bay laurel, holly, myrtle, yew and privet, among others. 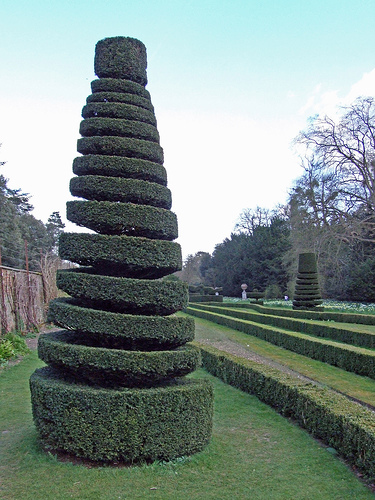 Choice of tree depends on where the topiary art will be placed (as to match existing elements), artist choice (style and technique play a major role), and also the final shape (some trees are better suited for particular shapes than others). These trees are grown and pruned to acquire the shape desired by the designer. 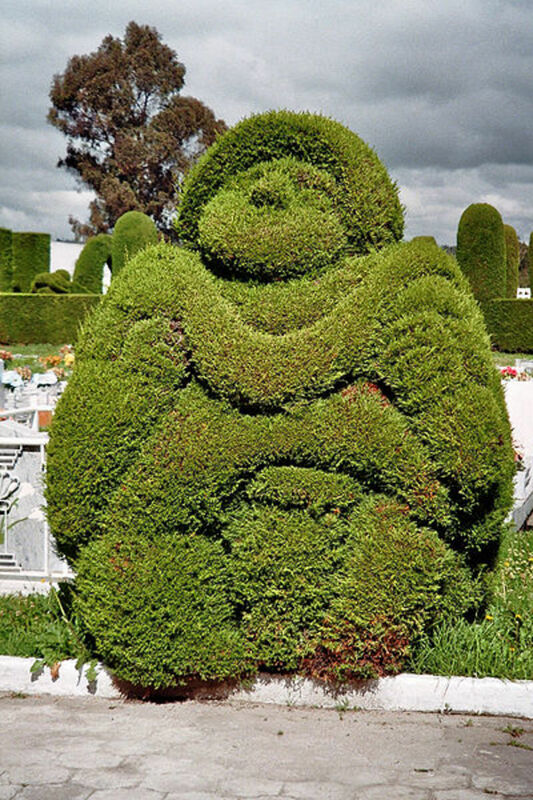 Animals and geometric shapes are among the most popular topiaries, but some hedge patterns and mazes are also forms of topiary. 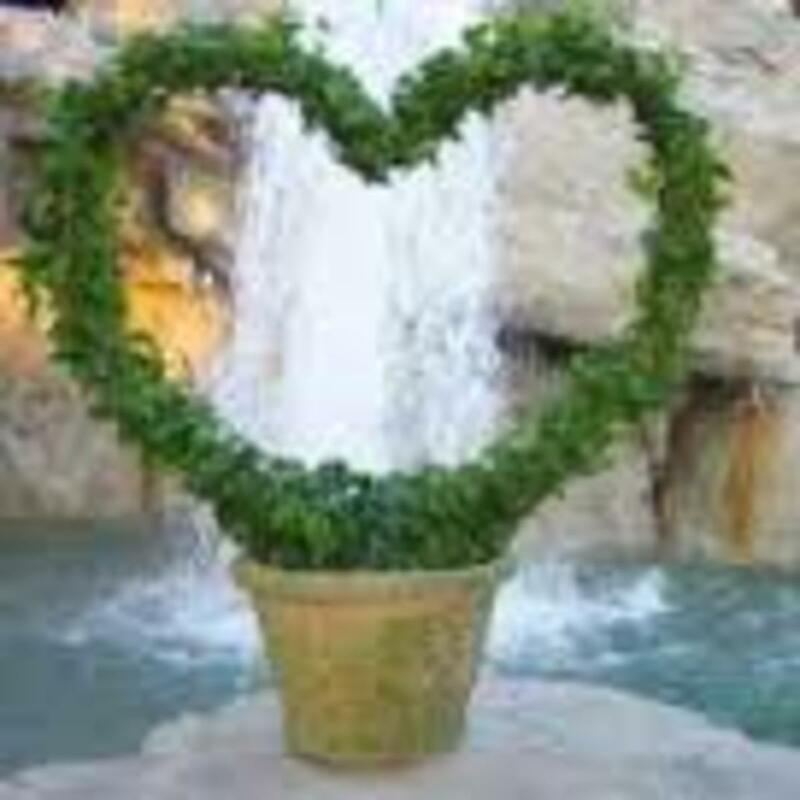 Frame topiaries are a way to create shapes without much training or even a steady hand. The trees are allowed to grow within the confines of the frame that provides support for the tree and guidance in pruning. The shape of the frame determines the shape of the final sculpture and allows you to get a preview of the final design of the garden, as you can visualize it with the help of the frame's shape. For indoor use, there's a technique that preserves the tree in its designed shape and color. These once-live plants require no maintenance and still have the appearance of a living topiary. Trees shaped as spheres or balls, may include multiple layers from the trunk or multiple balls for every branch. Cone shaped trees, some designs include inverted cones and layered cones (similar to Christmas tree drawing). 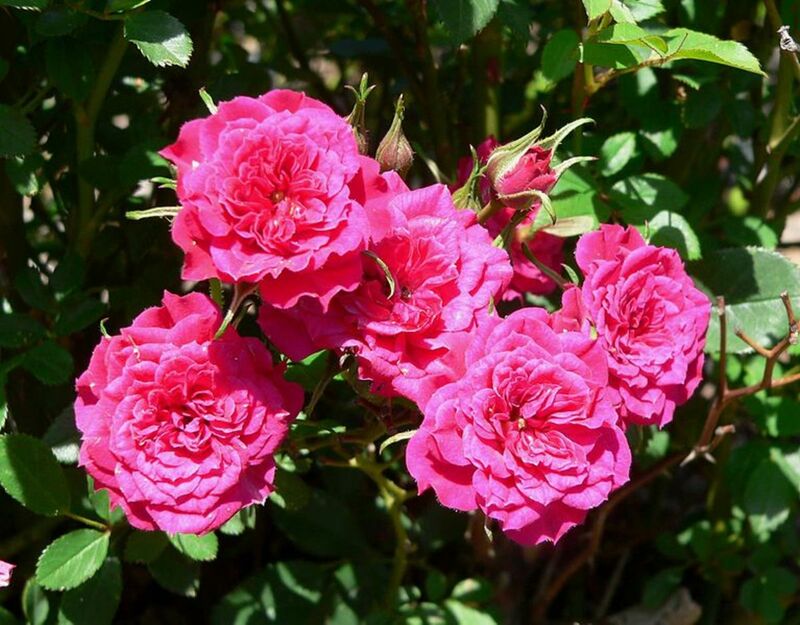 Highlights the natural shapes of the plant, trimmed to give a 'polished look'. 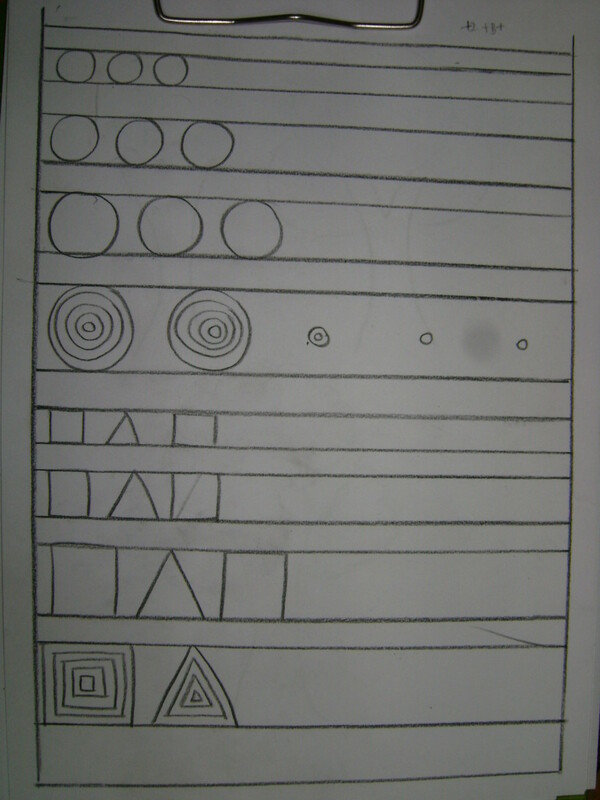 Includes shapes like hearts and baskets, often with the help of wire or frames. The most common type, a tall and slim tree trimmed into a spiral shape. Used often in entryways.